Learn: What is .Net framework, why it is used? Explain the working and usages of .Net framework in details. .Net framework is a software development framework, which is developed by Microsoft, basically for Microsoft Windows Operating Systems. 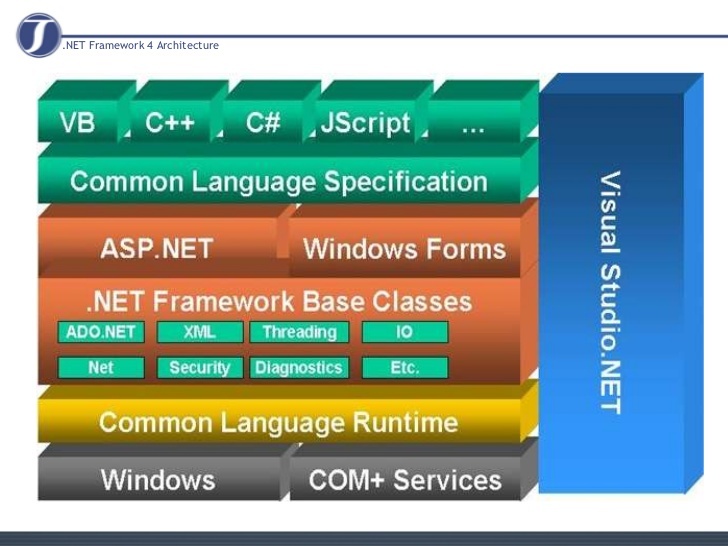 .Net framework contains large collection of libraries that is known as Framework Class Library, it also provides language independence (or we can say language interoperability). .Net is not a programming language; it supports multiple programming languages for different types of programmers. It is language independent platform. .NET framework also enables a programmer to create sharable components to be used in distributed application. .Net framework supports oops model for multiple language in a manner to allow language interoperability.